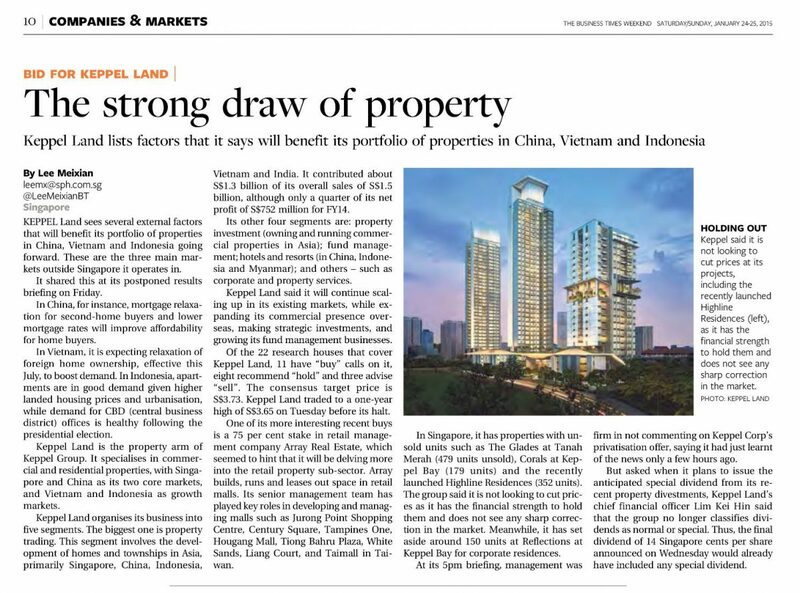 Claiming that they still have the holding power to keep their residential projects, Keppel Land announced that they will not be slashing the prices of any of their residential properties. One of these residential properties will be the newly launched condo, Highline Residences. Highline Residences sales gallery was opened for a private sneak preview last September and 160 units were released for sale during the event. Out of the 160 units released, over 80% of the units were sold. This was a high take-up rate for new launches despite the fact that for the past two year, sales volume for new residential projects were declining. Highline Residences will be located a stone’s throw away from MRT station and is situated in the Tiong Bahru Estate. The charming Tiong Bahru estate is a place of rich architectural, cultural and historic significance. Since the early 2010s, many hip cafes have been moving in one after another and the entire town was turned to a bustling mix of the old and new, this is definitely an attraction to a lot of homebuyers and investors as well.